I leaned in and pressed my sweaty forehead against his. With eyes closed, we inhaled deeply through our nostrils, taking in the swirling odors of the salty ocean, perspiration, and wafts of my sun cream. We pushed back and met each others smiling faces with soft laughter, albeit mine a bit nervous, after having shared such an intimate moment with a new friend. 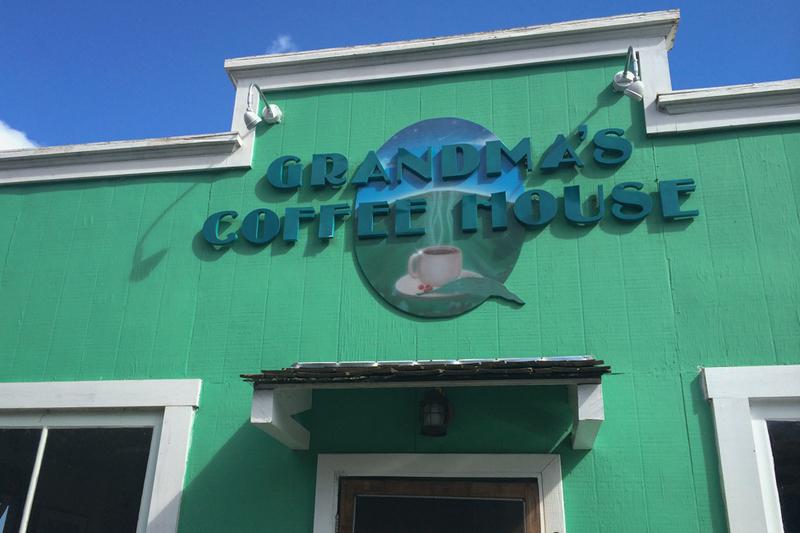 She caught our attention as soon as we stepped inside the famed Grandma’s Coffee House in Maui’s upcountry. Sitting at the first table to our left, she nodded and offered a sincere hello, her eyes sparkling with generous energy. She could have been the namesake of the bustling shop we sat in, with her glistening white hair, warmth and character that surely demonstrated why the cafe routinely had praise heaped upon it. Pete went up to place our order and I sat across the room from her. Each time the door rattled open she greeted the entrants with the same warm smile, the same nod of her head. She met my glance a couple of times from across the room, still beaming. Pete brought our order back to the table and smiled at her again on his way past. As we focused on our mugs of steaming coffee and plotting the rest of our day exploring Maui, we did not notice her approach. Suddenly, she was above us, with one hand on each of our shoulders. “Where are you from?” she said so sweetly and softly, her voice matching her demeanor to perfection. We told her. “Ohhhh! It is so nice that you are here!” She reached over the table just then, unexpectedly, and gave us each an encompassing and thoroughly delicious hug. First Pete, and then me, her eyes brimming with pure joy unlike I have ever seen. She nodded at the Maui guidebook in front of us and gave a quick wave to the scenery through the storefront windows, “There’s not much to do around here,” she said as if stricken by total modesty, not acknowledging that the swaying palm trees and luscious foliage blanketing the upcountry had any appeal at all. Spotting her husband wave to her from outside, she turned back and with another quick nod, was on her way. My hand rose to my heart as we watched her go, trying to entrap the warmth inside. She reached over the table just then, unexpectedly, and gave us each an encompassing and thoroughly delicious hug. The room glowed. A painted sunset of Napili Bay stretched across the back of the stage, the warmth of the yellows broadcasting welcome to all who entered the small open air room. There weren’t many of us in it, and Pete and I felt shyly out of place, quickly taking two seats near the exit. All around us were eager fans, readying their cameras and twitching in their seats as they waited for the show to begin. We, on the other hand, had just learned that day what slack key music was. Slack key is seen as one of the most genuine expressions of the Aloha spirit, a genre of music born on the islands. It was developed primarily to meet the rhythms of local dancing, characterized by slacking or detuning one or two strings of a standard tuned guitar. When the show began and the musicians expertly played and began their soulful singing, we also had the opportunity to study the smooth movements of an accompanying hula dancer, noticing for the first time that the dance is the gentle telling of a story. That the face is always smiling, the hands always gliding, not abruptly but in fluid motion with the music. Even without the rabid appreciation that those around us shared for the performance, and although this was a show repeated weekly, we still couldn’t help feeling a part of an exclusive and special event. We were enraptured. Beyond the alluring tunes themselves, it was the way the musicians referred to each other throughout. They were uncles and aunts, nephews and nieces, all in intimate recognition and respect of mentors. The familial terms and long stories that came before each song made us feel a part of a tradition, of something bigger than the sounds that filled the small room. The face is always smiling, the hands always gliding, not abruptly but in fluid motion with the music. 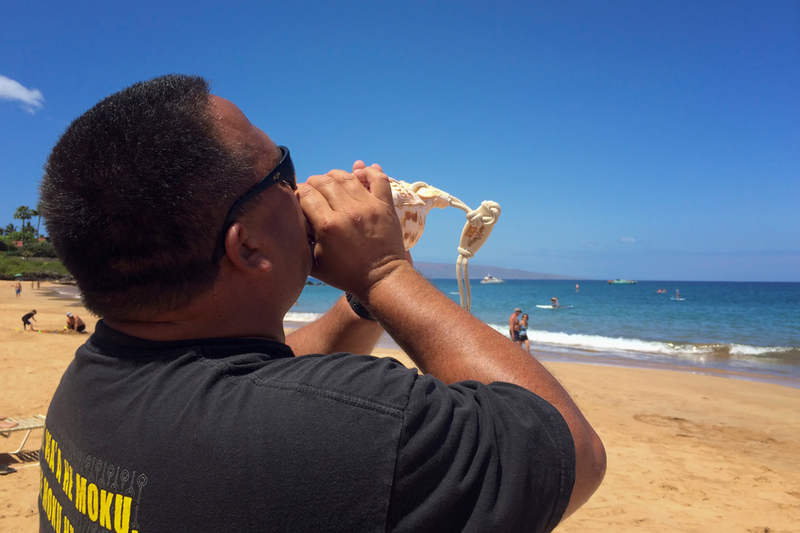 We rolled the outrigger canoe to the edge of the water via a series of inflated buoys, but before we were set to push them out on the water, Kevin faced the ocean and his large hands curled around a conch shell. Passerbys stood and stared as long notes bellowed from the shell before he lowered it and then took to chanting. As he explained to us then, it was a Hawaiian traditional to offer chants when embarking on the ocean. His melodies rose above the waves as he asked for permission from the water, the whales, and the fish, that we should safely enjoy our journey that morning. The canoe was slim, we sat snugly on the thin slats with paddles in hand. Kevin called out traditional words for when to paddle right, left, and when to rest. He pointed out the many hunu (turtles) when they appeared in the distance so that we could move in for a closer look. In the short span of two hours he filled us with knowledge of local culture, encouraging us to learn and share, given the sad projection that the race of Hawaiian people is expected to be extinct by 2044. He taught us more chants and encouraged us to call them out – he inspired our enthusiasm so completely that we sang at the top of our lungs to the amusement of the other boats who passed. After dragging the boat ashore we began a long goodbye. Kevin asked us if we knew the true meaning of Aloha, and more specifically the root of Ha, to which we responded no. As such, the proper way to say Aloha is to share that breath with whom you are greeting. To welcome that person into your space and share your spirit. “Can I share my ha with you?” Kevin asked. The proper way to say Aloha is to share that breath with whom you are greeting. To welcome that person into your space and share your spirit. 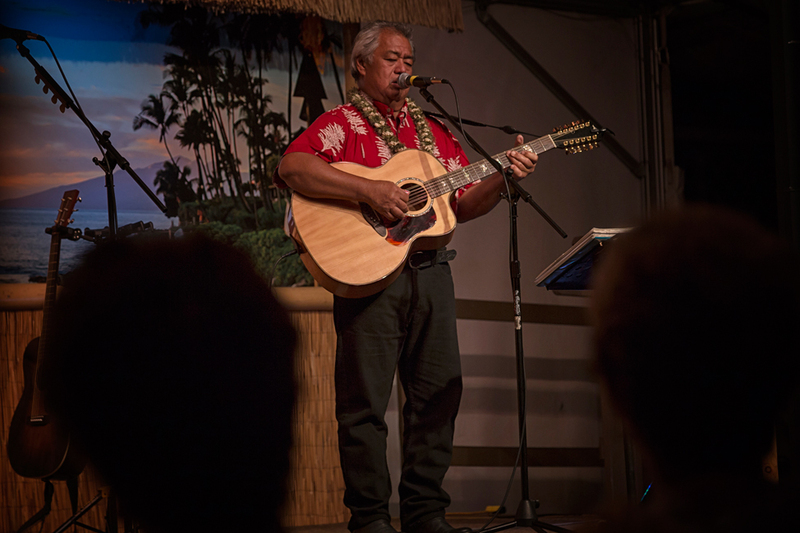 The slack key show, headlined by Grammy-award winning musician George Kahumoku Jr., is a twice-weekly event held at the incredible Napili Kai Beach Resort, where we also stayed. Set in Napili Bay, this might just have been our favourite spot on the island. For our full review of the resort, please click here. How beautiful – I haven’t been to Hawaii so had no idea of ‘Ha’. Posts like these really make me want to slow down and revel in those special moments you experience every day (whether travelling or not). As you should! It’s these little encounters that tend to stand out more than anything else (I find, anyways)! It’s been quite a few years since I’ve been in Maui but it remains one of my favorite places. It’s such a magical place and I marvel at how different it feels from the rest of the United States. Sure parts of it have become very touristy but there is still so much that has retained the magic and mystery of the indigenous people. That is what I loved about it too, and will actually admit to being very surprised by it. Maui really is magical! Thank you for enlightening us about ‘Ha’ – been to Hawaii twice but never had such a beautiful experience such as this. Your welcome Jo. Hope you find it next time! It’s sad to think that some people know aloha as nothing but a greeting. Yes, there is just so much more to it. 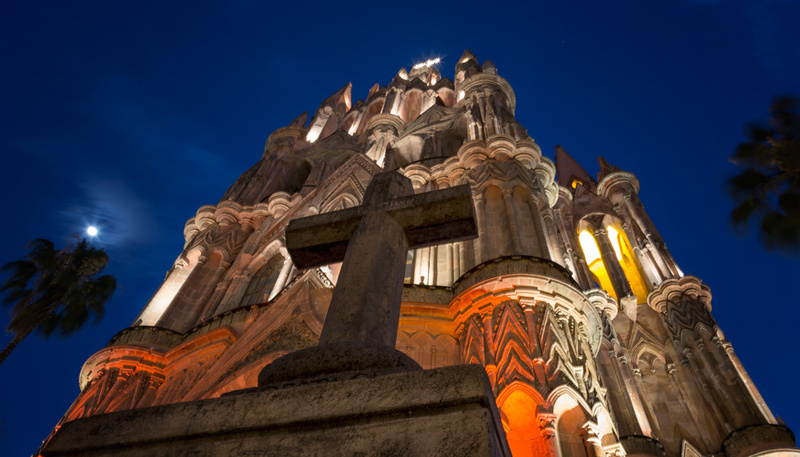 We feel so fortunate to have had such great experiences during our stay. Aloha Pete and Dalene! Thank you for the wonderful review. We’re so glad you enjoyed your stay at Napili Kai and hope you’ll visit again soon. We hope so too! We adored our time in Napili. Wow. I felt like I was transported to the island. Hawaii is firmly on the bucketlist now, and not just for the sights, but for the sounds and culture too. 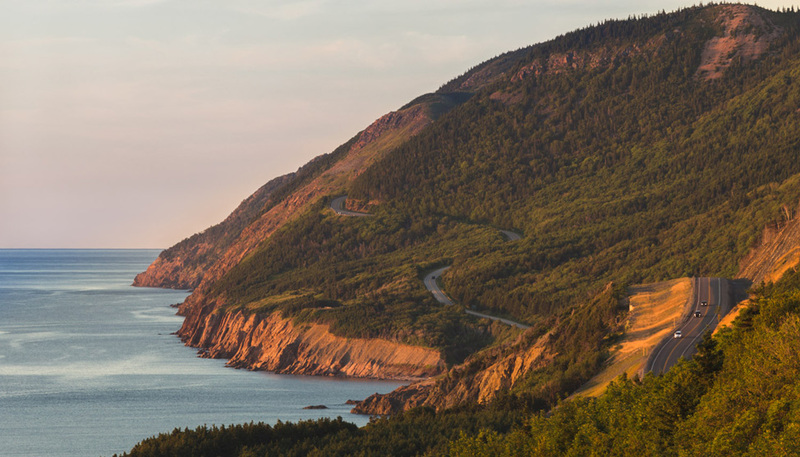 It should definitely be there – for all those reasons! Living in California, I’m fortunate to visit the Hawaiian islands often. I never tire of Maui and swimming with the green sea turtles. I love staying at Napili Kai! Mahalo for sharing the Aloha spirit with us. Hawaii is a special place. You have painted a beautiful picture of Hawaii and the Aloha spirit. It is definitely magical. Can’t wait to go back! You have a really engaging writing style, and a writing it like a story was perfect for this! I really understand better the Aloha spirit as more than just a greeting now, and that’s alarming that he predicts the Hawaiian race will be gone by 2044. Hope the Aloha spirit spreads around more!